Home » Events and Opportunities » Rally in Front of Wendy’s at General Assembly! Rally for Economic Justice at General Assembly! This General Assembly we are protesting outside of Wendy’s! Why? To get better wages and working conditions for the farm workers who have supplied Wendy’s tomatoes. When asked by the Coalition of Immokalee Workers (CIW) to sign onto the Fair Food Program, McDonald’s, Burger King, Taco Bell, and Subway all said yes. Wendy’s responded by moving their business to a new tomato supplier based in Mexico. This new supplier, Bioparques, was prosecuted for slavery in 2013. Workers there have testified that they were trapped in camps without beds, fed on scraps, and beaten when they tried to quit. 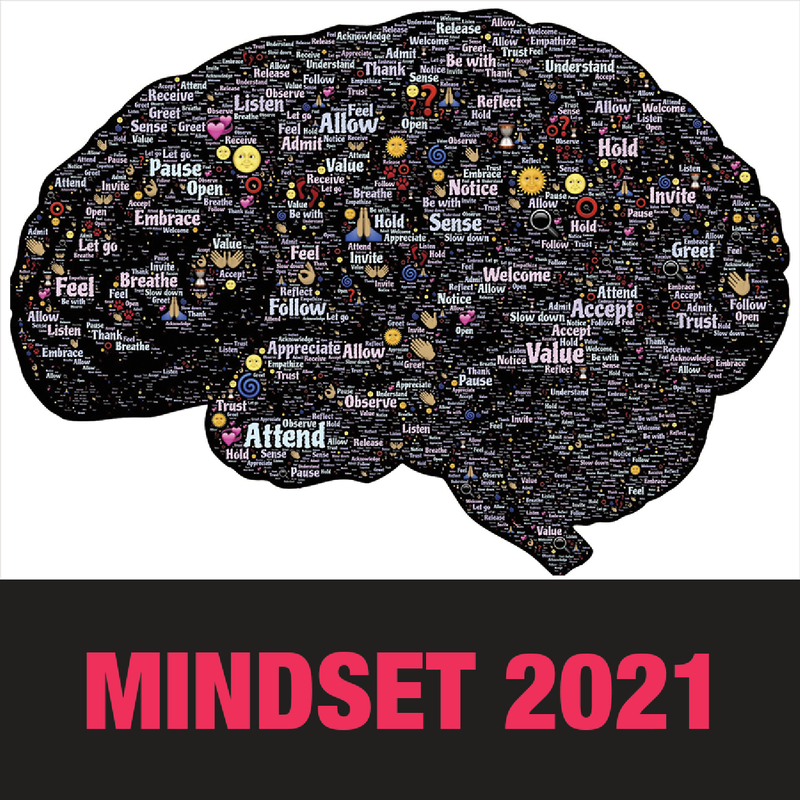 Join the Unitarian Universalist Service Committee (UUSC), Unitarian Universalist Association (UUA), CIW, and fellow Unitarian Universalist (UU) youth and young adults at 1 p.m., June 22, at Wendy’s Restaurant, 2004 North High St., Columbus, Ohio. Click here to RSVP and reserve a seat on the bus (which is wheelchair-accessible)! What does it take to turn one of the worst agricultural working environments in the country into one of the best? 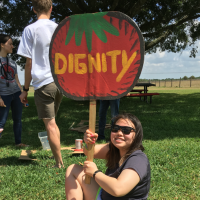 The Coalition of Immokalee Workers (CIW) provides an inspiring example of the power and success that worker-led movements can have with the support of faith, student and consumer allies. In the 1990s, the tomato fields of southern Florida were rife with abuses, wage theft, sexual harassment, and even cases of slavery. Today, the CIW’s Fair Food Program guarantees basic rights and dignity for workers in the tomato fields, has increased annual wages from around $10,000 to $17,000 with just a penny more a pound, and includes a robust workplace-monitoring program for promptly addressing any abuses that arise. 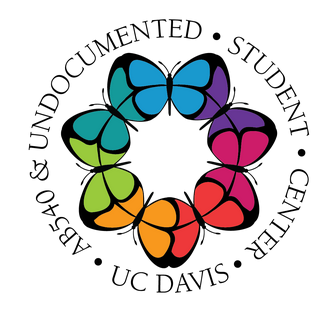 Young people have been at the forefront of this movement as part of the Student/Farmworker Alliance. In the 2015 Week of Action against Wendy’s, hundreds of students on more than a dozen college campuses organized pickets and delivered letters to managers. We know that these tactics can work based on past success. From 2001-2005, more than 300 universities and high schools were involved in the campaign against Taco Bell, in which restaurants were removed or blocked from starting on 25 campuses. Due to this pressure, Taco Bell became the first major corporation to sign onto the Fair Food Program. Today, students are organizing similar actions against Wendy’s. 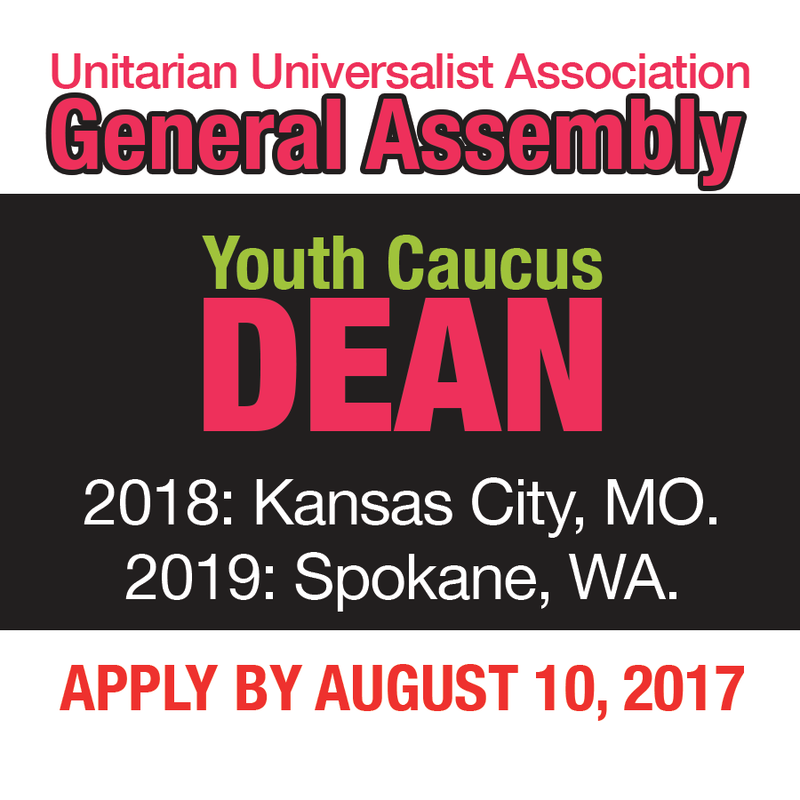 As a UU young adult, I’m looking forward to taking action at this General Assembly. Let’s organize for systemic change in our food system and hold Wendy’s accountable! 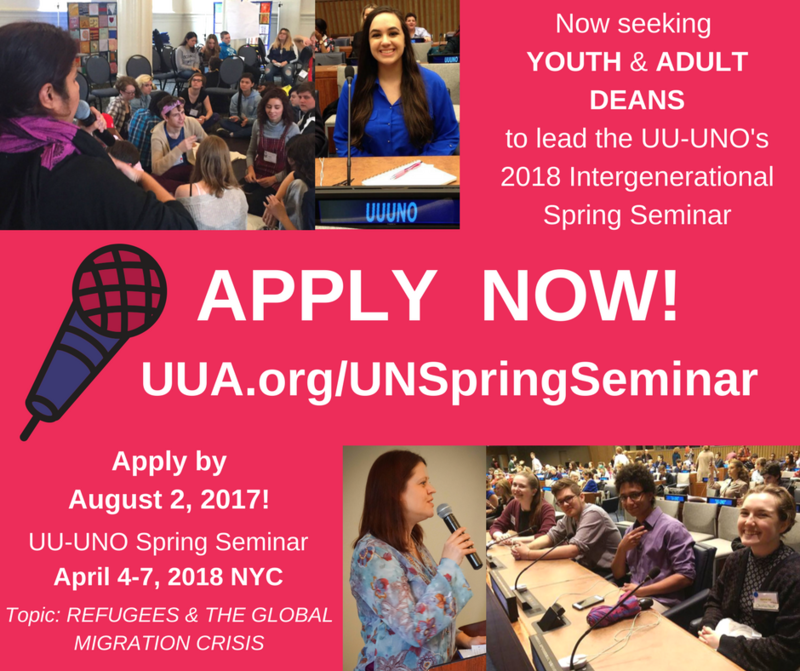 Shaya French serves as the UU Women’s Federation Clara Barton intern. She is involved in organizing around reproductive justice, racial justice, LGBTQ rights and prison abolition with Black and Pink. 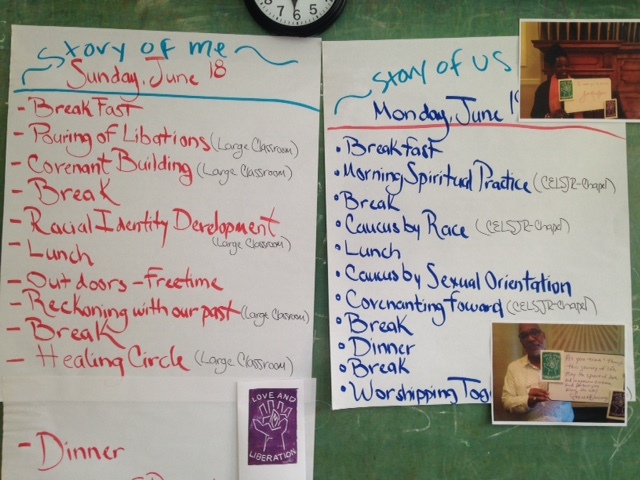 She lives in the Lucy Stone UU Cooperative in Boston, MA. Shaya graduated from Bard College in May 2015 with coursework focusing on ecology, gender and sexuality, and human rights. While at Bard, Shaya founded the Anti-Racism Collective to engage more white students in racial justice. She grew up in the First Unitarian Universalist Society of Middleboro and attended district youth conferences as well as conferences at Ferry Beach and Star Island.